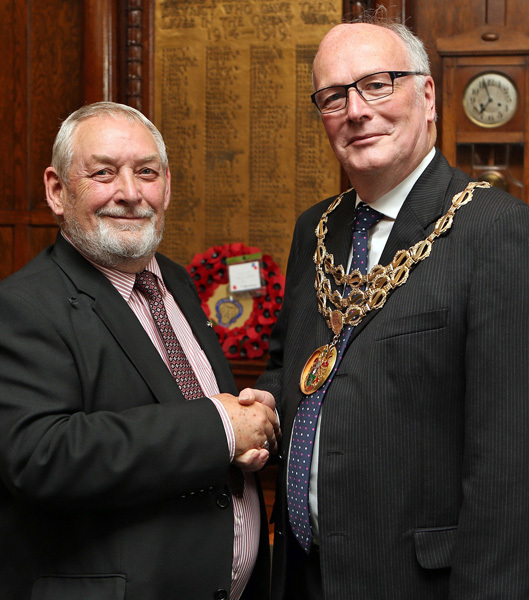 His wife, Dorothy, was Mayoress. 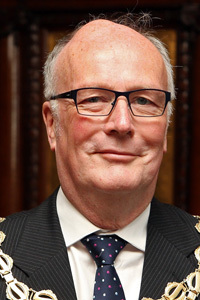 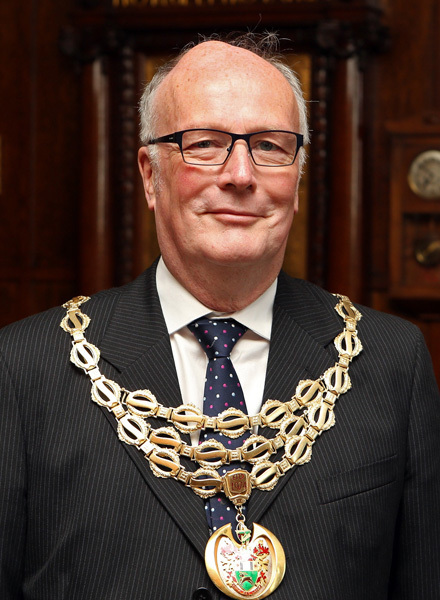 Formal portrait of James Bullock as Mayor of Horwich. 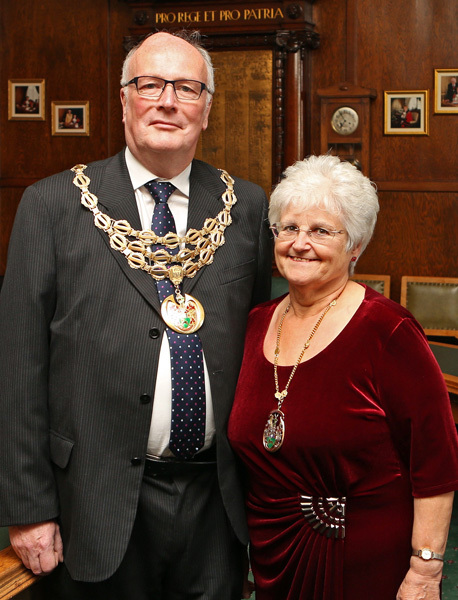 Formal portrait of James and Dorothy Bullock as Mayor and Mayoress of Horwich. 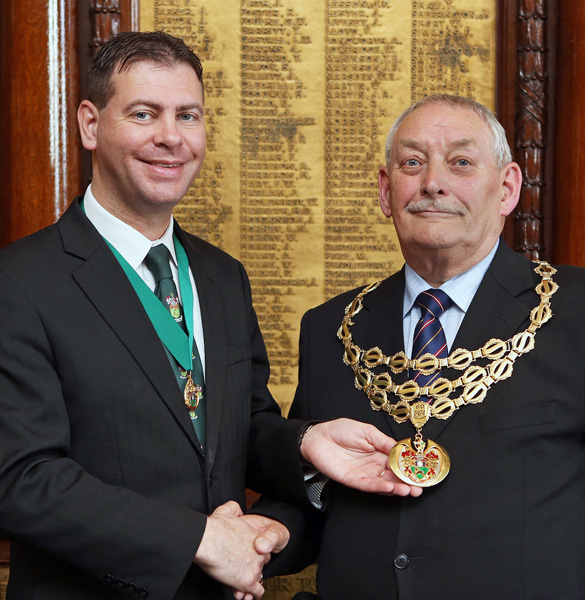 James Bullock as Mayor of Horwich receiving the Chain of Office from Kenneth Malcolm Denton, Mayor of Horwich 2015-16 in the Council Chamber.